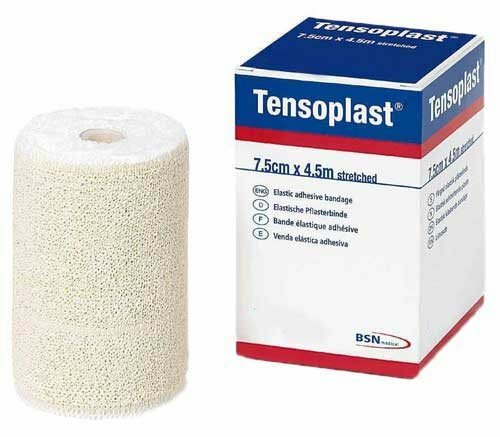 The BSN Tensoplast Tape, formally known as Tensoplast Elastoplast, is an Elastic Adhesive Bandage that helps control and reduce edema (swelling) by providing compression and support. 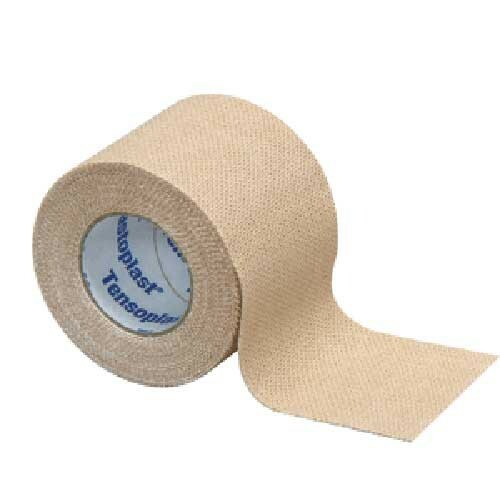 Tensoplast Bandage is manufactured from a high tensile cloth that has superior stretch and regain, providing firm controlled compression and support. 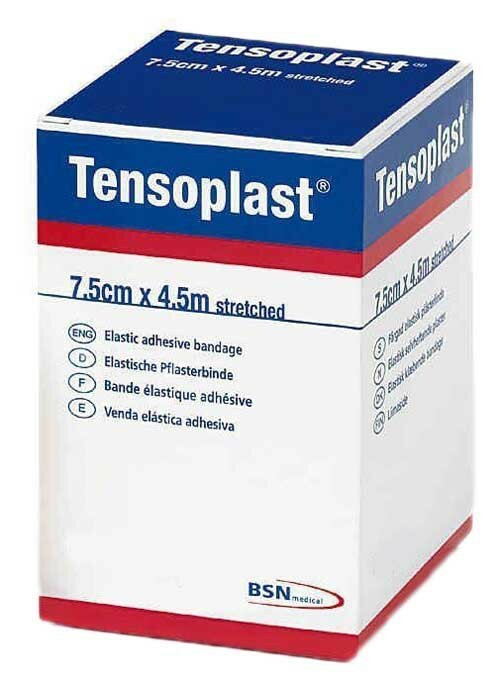 The adhesive keeps the Tensoplast Bandage firmly in place throughout lengthy treatment. The yellow center line on the product permits accurate overlap during application. Tensoplast is available in white or tan colors and comes in four different sizes: 1, 2, 3, or 4 inches wide. Also, this bandage is air permeable. Air permeability allows air to pass through and help prevent the skin from macerating. Skin maceration is when the skin has prolonged exposure to moisture and begins to breakdown. 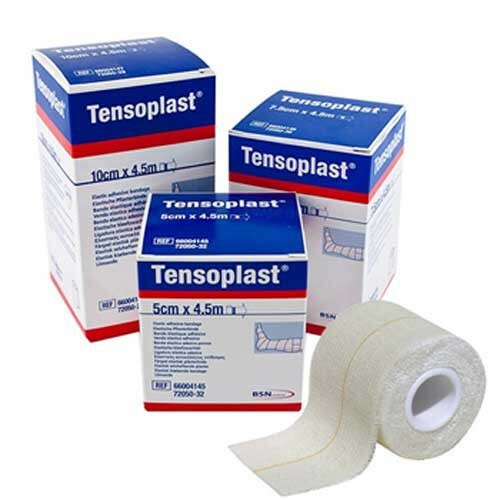 Another way Tensoplast tape helps to prevent skin maceration is by being water repellent. This makes it harder for water to seep through the bandage and get to the skin. I cut my hand and applied one of the bandages. It allows me to move my hand freely without tearing or falling off. I use this tape to adhere pads to the bottom of my feet to prevent pain in the ball of the foot The tape stays put despite sweat which is why it works for me. I would much prefer if it was available in a natural skin tone color rather than white. 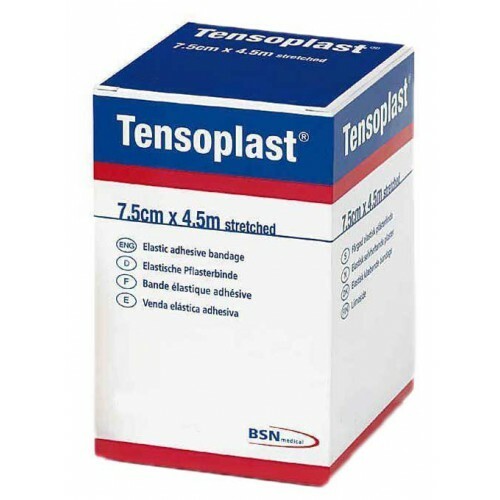 I use these tensolplast for my wrist to prevent injury; they work excellently!!! Also I will definitely order form Vitality Medical again!!!!!! Great customer service! It has everything that you expect from bandage. Elastic, stretchy and adhesive. What's more, despite constant movement it stays in place all day long. I used it for my sprained wrist and it gave me great support. Thanks! My right knee has ACL tear. I have not agreed on an operation yet thinking that it can still be cured with therapy. Three times a week I go to therapy and every week I come back with a swelling knee. Its either I tripped or I stepped on the wrong foot. My therapist told me to use an elastic bandage to make sure that the knee is compressed and to avoid further injury. I bought this through your website and I have no complaint at all.